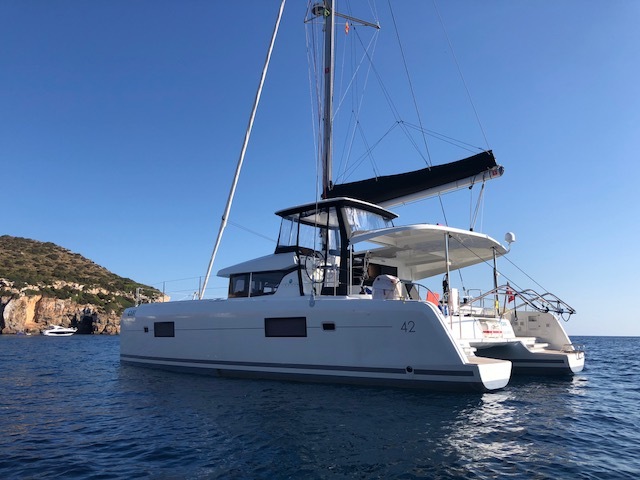 GABI, a never-chartered owner’s version Lagoon 42, is new to the market and available due to the owner’s change in plans. Delivered in Les Sables d’Olonne in May 2017 it has less than 260 hours on each engine and 100 hours on the generator. Don’t miss out on this rare opportunity to get a fresh Lagoon 42 without the 1.5-2 year wait. GABI won’t be on the market long! European TVA not paid. BVI flagged.